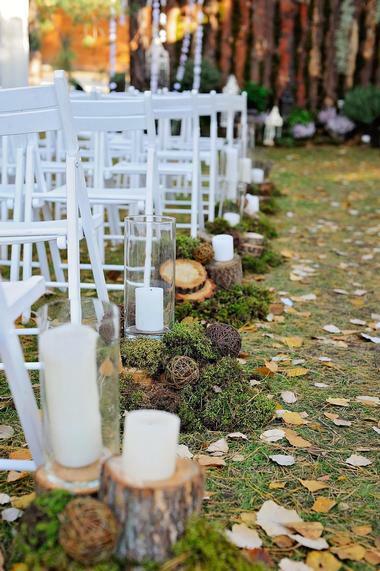 With innumerable historic sites, naturally beautiful settings, and over 10,000 lakes, it’s no wonder that Minnesota is filled with many amazing wedding venues. There are several picturesque sites to choose from for outdoor ceremonies and receptions, and historic spaces with stunning architectural features grace many of the ballrooms and indoor locations. Popular choices include the renowned Cedarhurst Mansion (listed on the National Register of Historic Sites), the romantic river town destination of Legacy Hill Farm, and the Second Italian Renaissance Revival style of Semple Mansion. Planning the perfect Minnesota wedding will be a piece of cake with the following list of venues and their facilities. A historic riverfront wedding venue, St. James Hotel was established in 1875 and soon became a hub for the area’s elite. 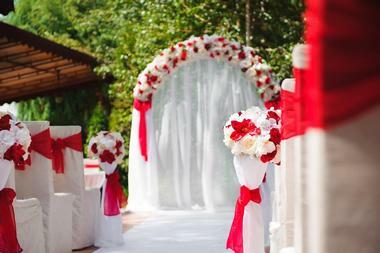 Now, couples can get married there and start their new life together surrounded by history and romance. 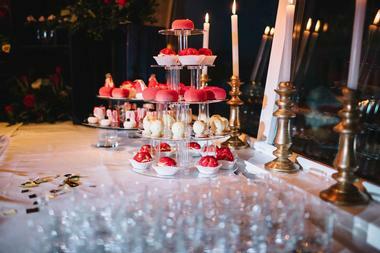 The venue has five unique settings for couples to choose from depending on the size of the celebration and the setting the couple wants. 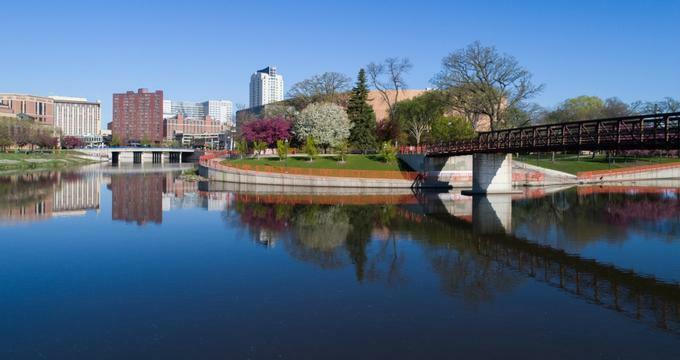 Popular options include the newly renovated Summit Banquet Room, which offers stunning views of the river, or the Victorian Dining Room with an intricate grand staircase and pipe organ. The experienced planners will guide couples to creating an amazing St. James wedding experience that they will remember fondly forever. Before becoming one of the most renowned wedding ceremony and reception sites in Minnesota, Cedarhurst Mansion played an important role in the state’s social and political history, and at one point in timed it served to welcome former U.S. Presidents and foreign dignitaries. The mansion is listed on the National Register of Historic Sites and can found sitting on ten acres of lush rolling countryside. 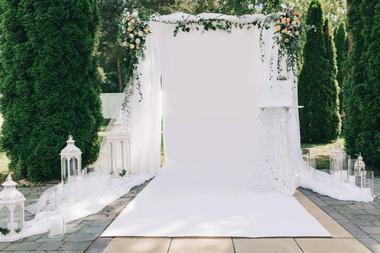 Cedarhurst can house up to 200 guests, and ceremony and reception spaces include the tranquil English gardens, the 100-foot-long open-air veranda, or the enchanting Cass Gilbert ballroom. The mansion makes fantasy weddings a reality for brides and grooms, no matter how enchanting and magical a setting they want. Family owned and operated, A Friend’s House is a special wedding venue housed in one of Minnesota’s historic landmarks. Combining the past and present with simplicity and elegance, the space is perfect for wedding ceremonies and receptions. 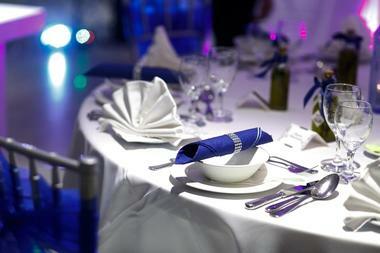 Couples can choose from indoor and outdoor spaces, whether it be for 50 guests or 250 guests. There are many locations on the property that the bride and groom can choose to make their own as the staff will customize the atmosphere to their needs and wants. 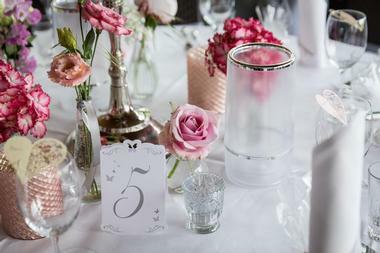 Services provided by A Friend’s House include chairs, tables, linens, use of the sound system and coffee maker, and a choice of decorations and table centerpieces to use. Overlooking downtown St. Paul through floor-to-ceiling windows, A'bulae is a fully integrated reception venue complete with stunning light, sound, and digital capabilities that they have given this establishment its famed. The beautiful loft-style space provides endless opportunities to personalize so couples can make their wedding dream come to life. Packages include the use of the Saints Ballroom, Broadway Rooftop, or Capitol Lounge and Bar, as well as the separate groom and bridal suite. Other amenities are the on-site catering kitchen, ceiling and wall uplights, surround speakers, door greeters, wireless microphone, and a dedicated venue coordinator that will help couples from the initial planning meeting all the way to the big day. 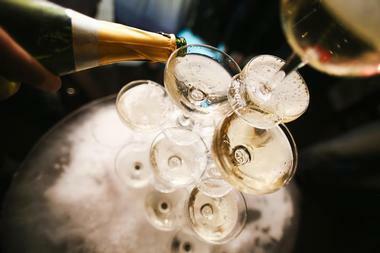 Carlos Creek Winery gives couples in Minnesota the opportunity to celebrate their big day in a stunning and fun winery. Offering all-inclusive, stress-free weddings, the winery combines unparalleled beauty with delicious food and wine – this makes it a perfect setting for wedding celebrations. 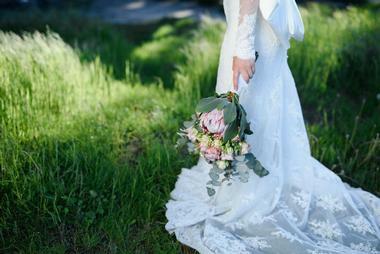 The events coordinator will talk the bride and groom through all their options as they explore the 160-acre land. All wedding package rentals include a personal floral and design specialist that will help pick floral decor, aisle decorations, and centerpieces. Amenities and services also include shuttle service to and from hotels, a licensed signee, and reception security. Fully remodeled, the FIVE Event Center is a state-of-the-art event space that is perfect for couples who want to celebrate their wedding in Minneapolis. The elegant and romantic space is everything a couple dreams of, and the dedicated event manager will guide the bride and groom toward creating a memorable wedding that will fit their needs, tastes, and budget. The historic building comprises many of its original elements such as exposed brick walls and stunning wood floors. 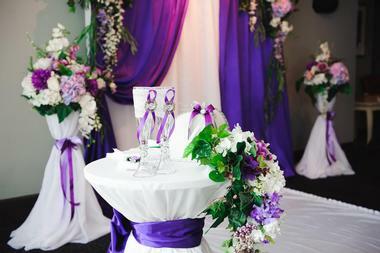 The perks of hosting a wedding at the FIVE Event Center include having a unique space fitted with contemporary lighting and artwork, as well as being in a convenient location with ample on-site parking. At Garten Marketplatz Perennial Farms, every wedding celebration is unique, memorable, and remembered for years to come by everyone who attends. The historic setting and serene gardens create the perfect location for couples to start their new life together and create memories that will last a lifetime. The bride and groom can choose to have a ceremony and reception as intimate or as lavish as they would like; by extending into the front gardens, Garten Marketplatz Perennial Farms can accommodate almost any number of guests. 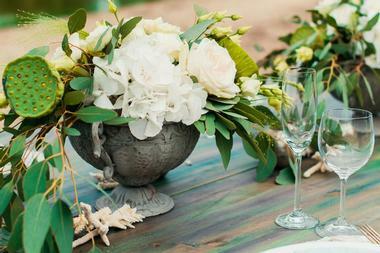 What better way to celebrate your big day than surrounded by family, friends, and flowers of all kinds. Grands at Mulligans is a premier wedding reception and ceremony venue in central Minnesota. The completely private setting overlooks the Pine Ridge Golf Course and has an incredible ambiance, which is only made better by the water fountain and the large patios. The exceptional facility offers a lot to couples who decide to get married there, including serving their guests the best food in town. Other amenities and services include complimentary shuttle service to local hotels, in-house state of the art DJ service, ample parking, and various audiovisual equipment such as projectors, microphones, and a high-quality sound system. Steeped in romance, the Greysolon Ballroom is a professional and elegant wedding venue complete with mahogany walls, ornate chandeliers, and hand-painted ceilings. Couples and their guests will be transported back to a magical time similar to when the original Hotel Duluth was built in 1925. There are several rooms and spaces that can be configured to accommodate parties of varying size, whether it be an intimate celebration or a large-scale dinner. 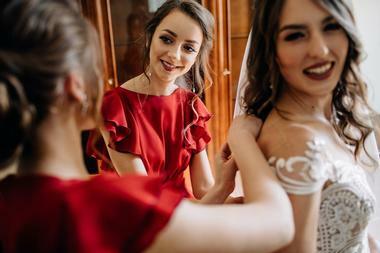 The professional staff at Greysolon will ensure that every detail of the big day is taken care of in exact detail while working with renowned vendors such as Black Woods caterers. Located in the newly restored South St. Paul Exchange building, the Historic Concord Exchange was built in 1887. 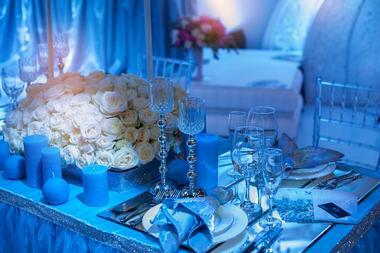 Standing for more than a century, couples can get married surrounded by the majestic atmosphere that the space exudes. The historic mansion is the perfect venue for couples who want an extraordinary atmosphere that will bring their wedding dreams to life. The on-site catering is handled by the Executive Chef, Duke Lindberg, who will sit with couples to create a menu that they and their guests will love. They can accommodate any special requests or restrictive diets if necessary. Now restored to its original splendor, the Hormel Historic Home was built in 1871 and was once the family home of George A. and Lillian Hormel. The home now honors the history of the family’s legacy and service to the community. 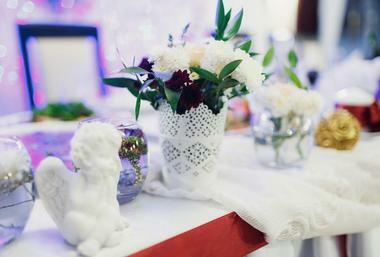 The truly unique establishment makes it a wonderful location for couples to have their wedding ceremony and reception. 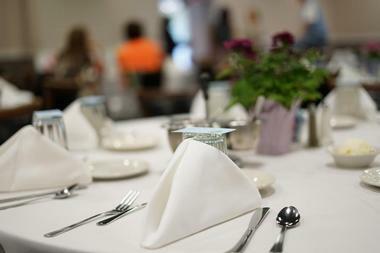 Sites include the Peace Garden and the Carriage Hall Event Center. It can seat up to 250 people. The experienced event staff will guide couples every step of the way and make planning such an important event enjoyable and stress-free. The mansion is a wondrous venue and has many amenities, including separate wings for the bride and groom to get ready in. 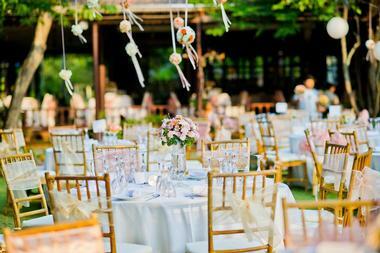 Legacy Hill Farm is an exquisite French wedding venue located in a romantic river town destination. 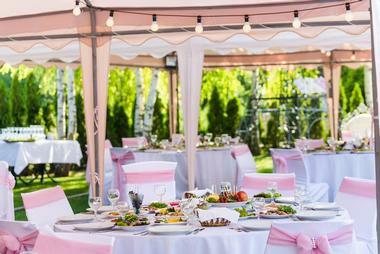 The indoor and outdoor spaces let couples build their wedding celebration in any way they’d like. The farm will consult with couples to get an idea of what they want and put together a plan that will exceed their expectations. 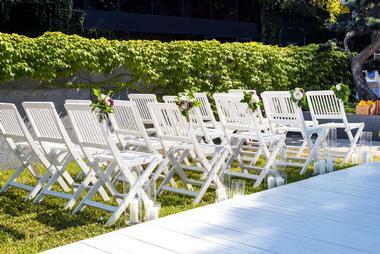 The outdoor ceremony site consists of wood church pews and is surrounded by a fire pit, cocktail hour bar and patio, and pavilion. Other amenities and services include a fully-fitted groom’s cottage and bridal suite, trees sparkling with twinkling lights, cafe lighting, and feature doors. An added benefit is that the entire venue is handicap accessible. Imagine exchanging your vows on a golden-sand beach with the sun setting behind you, or even on a floating platform right in the middle of the water – imagination becomes reality at Ludlow’s Island Resort. There are many locations on the island for couples to choose a wedding ceremony and reception site. In addition to the wonderful location, there are multiple unique offerings such as vintage wooden boats to arrive to the ceremony in style and a post-celebration honeymoon in the private Ludlow cottages. The renowned food is prepared by the banquet caterers from scratch and is created by the preference of the bride and groom. Other services include coordination with florists, clergy, entertainment, and much more. Mayowood Stone Barn is a premier southeast Minnesota wedding venue known for its history, charm, and beauty. Before it became an event venue in 2016, the land had been the private property of the Mayo family for nearly hundred years. Wedding can only be hosted at the barn seasonally from late April to early November. The barn can hold around 250 guests, and rental includes access to the outdoor grounds, Carriage Way, and private rooms for the bride and groom to get ready in. There are so many beautiful aspects of the venue that couples and their guests will love, whether it be the amazing giant bur oaks spanning the grounds or the beautiful stone arches scattered throughout. The Minneapolis Club is an exclusive private club that is open to couples who want to have a memorable wedding celebration surrounded by exquisite beauty. The wedding planning experts at the club are more than happy to put their experience to work and create an unforgettable wedding celebration that reflects what the bride and groom imagined. The space can hold over 300 guests in a private setting and has many amenities, including handicap accessibility. The luxurious and historic building is conveniently located in the heart of downtown Minneapolis and offers a five-star combination of impeccable service and fine cuisine that can’t be found anywhere else. The Monterey Ballroom is a fun and memorable wedding space that will give couples the opportunity to start their new life together with a special celebration. No two receptions are alike, and the experts at the Monterey Ballroom know that, so they work especially hard to bring together all aspects that will make the big day just perfect. 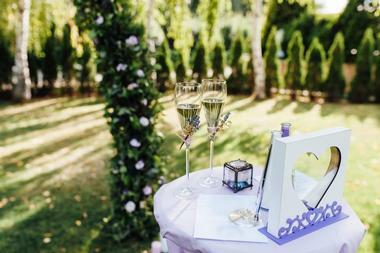 Whether it’s a small or big reception or whether it’s in the afternoon or evening, couples can decide what they want. They have unique additions that couples can add to their reception such as a champagne toast, DJ service, keg beer, chocolate fountain, and much more. The Pine Peaks Retreat and Event Center is a four-season celebration destination found near Crosslake, Minnesota. The premium wedding venue removes couples and their guests from outside distractions on the big day, and the serene wilderness provides a sanctuary that makes the perfect setting for a romantic, memorable wedding. 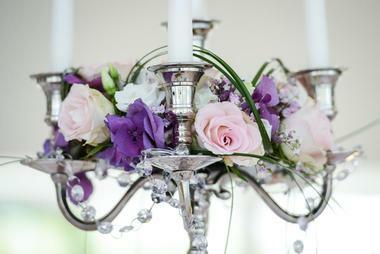 Weddings at the private country estate are solely dedicated to the couple for an entire weekend. 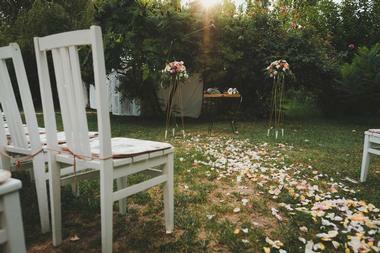 The bride and groom can choose a space that is special to them as there are several picturesque locations on the site. Those who want to celebrate indoors can decide to have their celebrations in the beautiful indoor pavilion. Secluded on 14 acres of open fields with flowing streams, mature trees, and rolling hills, the Rolling Ridge Wedding and Event Center is an incomparably beautiful wedding ceremony and reception space. The historic 120-year-old barn is a great space for indoor celebrations; it is fitted with modern facilities and can seat up to 300 guests. Other spaces include the lounge, atrium, or various outdoor locations that couples can choose based on what they like. The gorgeous gardens and landscaped patio areas are extremely popular choices. No matter if couples want a rustic farm wedding, backyard-style wedding, or a vineyard wedding, Rolling Ridge is a wonderful place to get married. Rum River Barn and Vineyard is Minnesota’s premier country and barn venue. Filled with tranquility and charm, Rum River Barn is a gorgeous choice for couples who want a serene indoor or outdoor space for their big day. One of the oldest barn venues in the area, the wedding venue makes for a stunning backdrop and can comfortably accommodate up to 600 people in the gorgeous setting. Couples who want a winter wedding will be glad to know that Rum River is one of the few choices that operates all year long and will give them the opportunity to exchange their vows as the snow falls gently on the background. Semple Mansion is known for being simply magical; the wedding venue has been awarded by Minnesota’s Bride Magazine every year since it was established in 2006. The building itself was built in Second Italian Renaissance Revival style in 1899. With over 19,073 square feet of space, the mansion is filled with a combination of modern luxury and historic charm in every nook and cranny. Semple Mansion has the largest original residential ballroom of its kind and the third-floor space offers panoramic views of downtown Minneapolis. Couples who decide to celebrate at Semple will have a timeless and classy wedding celebration that is incomparable to other wedding venues in the area. Signatures Restaurant lets couples celebrate one of life’s most treasured moments with stunning views of the Bridges Golf Course and scenic bluffs in the distance. The unique setting is ideal for bridal showers, rehearsal dinners, wedding ceremonies, and receptions. Couples and their guests can enjoy the exceptional atmosphere on their big day, complete with cozy country setting, garden paths, and lovely water fountains. Besides providing a beautiful backdrop, Signatures also offers assistance with room layout, decor, entertainment, and planning, as well as set up, clean up, a large stage, free ample parking, and an experienced staff for the event. Sugar Lake Lodge is a premier northern Minnesota resort nestled right along the crystal blue waters of the one in a million Sugar Lake. The lodge offers all-inclusive wedding celebrations that let couples have a destination wedding in a Caribbean-like atmosphere without ever leaving the state. Considered one of Minnesota’s top unique wedding venues, the bride and groom can choose from several indoor and outdoor spaces to make their celebration memorable. Weddings can only be hosted at the lodge from June to August, and exceptional amenities include divine catering, overnight accommodation, and salon services. A renowned landmark in St. Paul, the Summit Manor Reception House is a distinctive and magical setting for wedding ceremonies and receptions. It has been awarded “the best of weddings” and inducted into the “best of weddings hall of fame” by the Knot for years. The staff at Summit Manor will help couples put together an amazing event in the dignified stone mansion. Complete reception service includes the use of the house, personalized catering, fresh floral bouquets and table decoration, linens, bar facilities, a dance floor, and access to the beautiful grounds that surround the house. The Kahler Grand Hotel has a rich legacy in Minnesota for being traditional, historic, and luxurious. Situated in a prime downtown location, the iconic hotel allows couples to celebrate their wedding in the heart of the vibrant city. The perfect wedding starts with an amazing wedding planner guiding couples every step of the way, whether they want a grand reception or an intimate gathering. There are three ballrooms to choose from, all of which come with full service catering and many other amenities to make the big day just perfect. 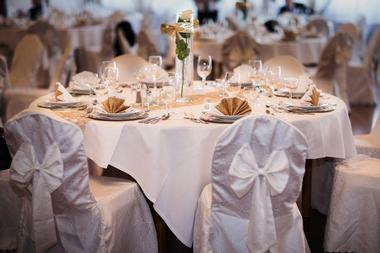 The hotel can accommodate up to 540 guests in either the Elizabethan Grand Ballroom, Heritage Hall, or Windsor Hall.